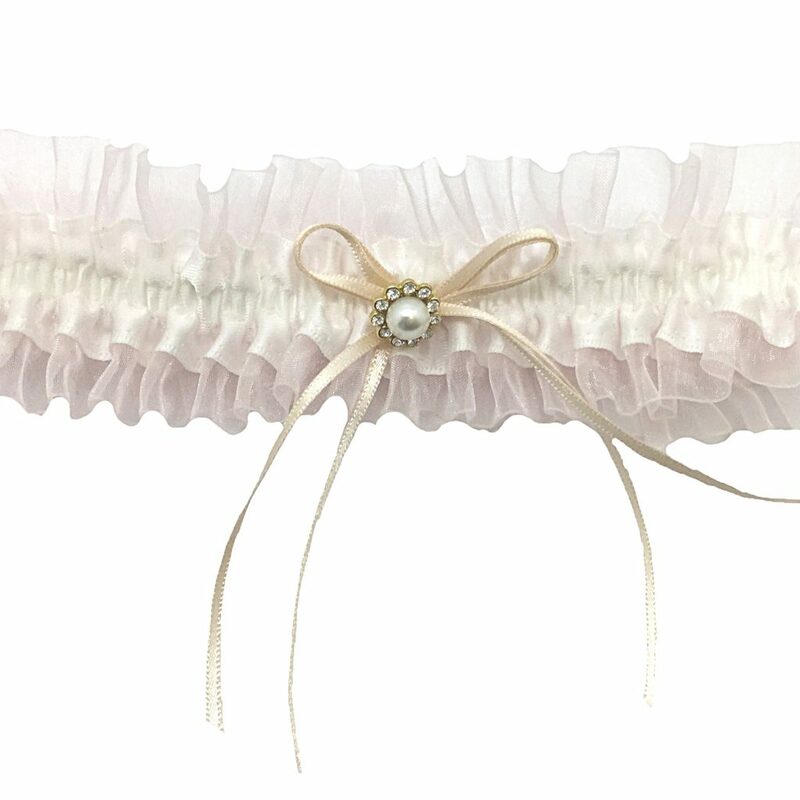 Cute blush garter with a delicate organza and ribbon detail. Elastic. One size fits all.